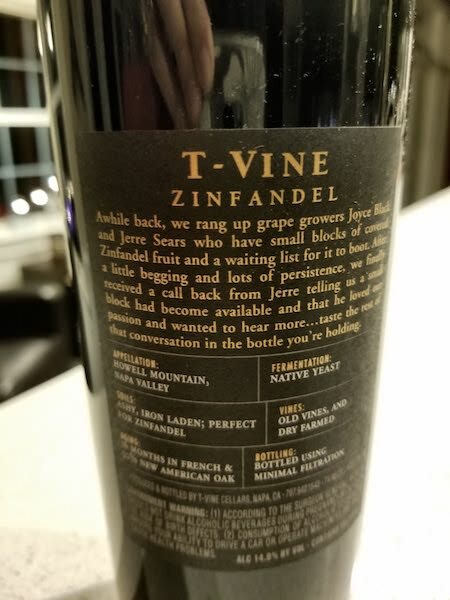 Head to T-Vine for Some FUN Wine! That being said, as time went by, my palate changed and most Zins (not just the pink ones) became too much for me. So many are too big, too jammy and too oaky for me. 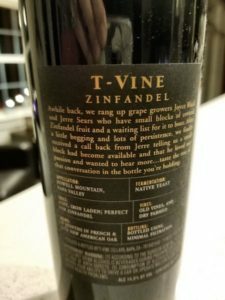 On my last visit to Napa, I discovered a Zin that I like a lot! Now don’t get me wrong, this Zin is NOT small! It’s full of fruity wonderfulness, but it’s not TOO much! I really enjoyed it! Perhaps my palate has come full circle? T-Vine Winery is located in Calistoga and has a very cool tasting room. It’s super modern, has gorgeous vineyard views, and is a perfect size. My husband and I bellied up to the tasting bar and enjoyed all of their wines. Heck, we ended up buying a case! My favorites included their Petite Sirah, Grenache and this Zin from the Black Sears Vineyard. In the glass, the Zin is bright garnet in color, with aromas of blackberry, plum, and licorice. On the palate, there is lots of blackberry pie, raisin, and some spicy pepper. 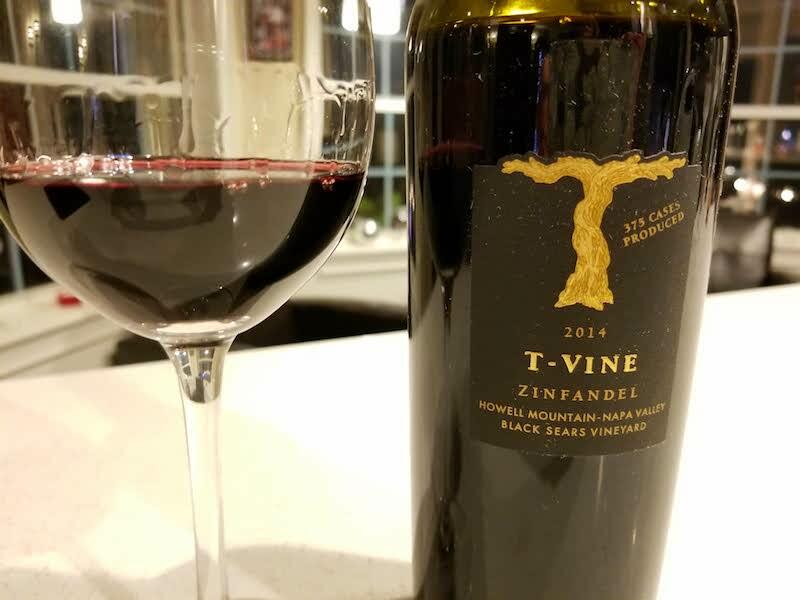 The ’14 T-Vine Black Sears Vineyard Zinfandel is velvety smooth and not overbearing! The high elevation of Howell Mountain is a great spot to grow Zinfandel, and this wine is a testament to that! 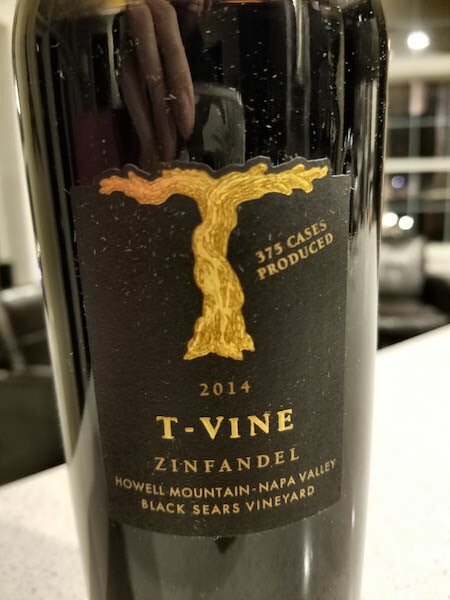 The next time you’re in Napa, be sure to check out T-Vine Winery. If your travel plans aren’t heading that way anytime soon, check out their website. You can order all of their wines online, and they have some killer shipping deals!